An architect’s career is often described in terms of a lineage of the practices and architects they have worked with – yet prior to practice comes the formative influence of architectural education. The effect of these years on the evolving architect is equally important. The impact of particular educators remains talismanic for some, or a source of reaction and counterpoint to others. This series of talks is structured as a dialogue between educators and their former students and offers an opportunity to explore the influence of formal teaching in architecture over time. What are the aspects of an architectural education that provoke, refocus or sustain an architect over the course of a career? What resonance does the touchstone of an architect’s education have when measured at 5, 10 and 20 years of practice? Second in the series curated by architectural collective MMALT, artist and architect Swetik Korzeniewski talks with former student Andrew Burges about the impact and evolution of these teachings into practice. Swetik Korzeniewski was a lecturer/senior lecturer at the University of Sydney for 29 years, including teaching architecture studios and various elective courses on the works of major 20th Century architects, drawing classes and workshop projects. He has also been a visiting scholar at the University of Washington, Seattle and Chaoyang Technical University, Taiwan, and lectured in Kyoto, Tokyo, Minsk, Nanjing, Beijing as well as at schools of architecture across Australia. He graduated from the University of Sydney in 1968 followed by a Masters degree from the University of Pennsylvania in 1970, which included work in the studio of Louis Kahn. Swetik has worked and travelled extensively including experience working with Denys Lasdun in London, the studio of Carlo Scarpa in Vicenza. Swetik also practices as a professional artist and sculptor and has exhibited his works exhibiting extensively over the last 25 years. architectural practice, including 13 years as principal of Andrew Burges Architects. In parallel to his work in practice Andrew has extensive experience in architectural education in both Australia and the United States. The 'Antecedence' series is curated by MMALT - a collective of architectural thinkers including Laura Harding (Hill Thalis), Michael Lewarne (Redshift Architecture + Art), Angelo Korsanos (Redshift Architecture + Art), Thomas Rivard (McGregor Coxall), Michael Zanardo (Studio Zanardo). Our talks program engages with a range of topics and speakers from the fields of architecture, urban design, and related creative disciplines. 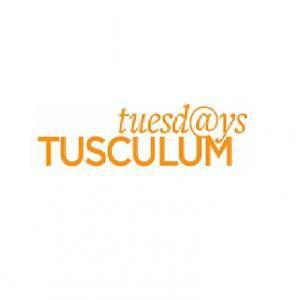 The Tuesdays@Tusculum series aims to provide a link to current debate, policy and creative ideas in architectural practice, and are open for both members and non-members to attend.